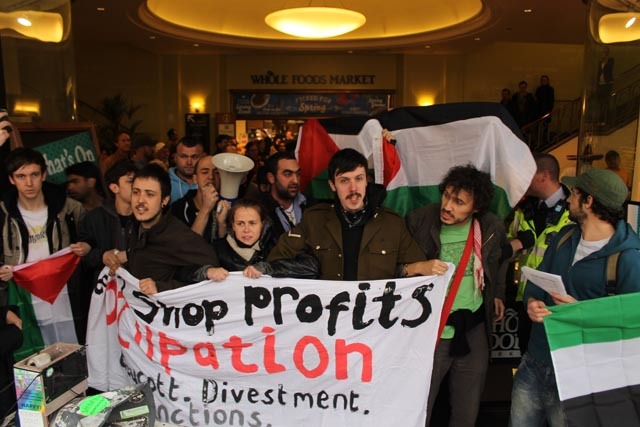 On Saturday, pro-Palestine activists from across London held protests outside ‘ethical supermarkets’ Whole Foods and John Lewis in opposition to their stocking of Israeli settlement-made product SodaStream. Both companies pride themselves on their ethical policies yet continue to stock settlement-made products in their stores across the country. 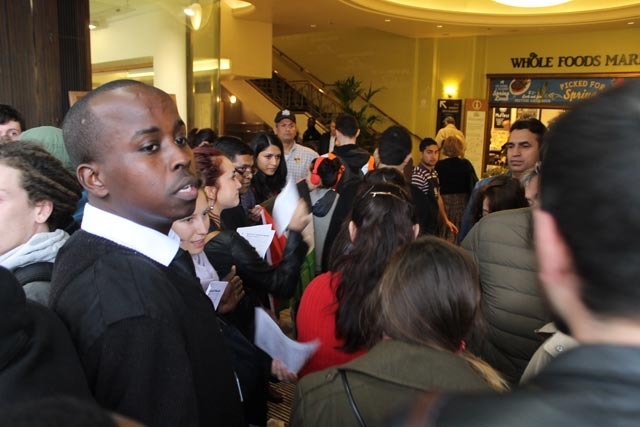 Saturday’s action was called as part of the BDS (Boycott, Divestment and Sanctions) movement. 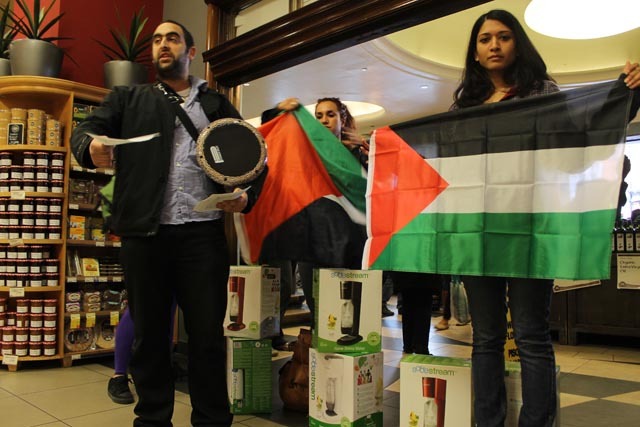 BDS calls for consumers across the world to boycott products and companies like SodaStream that profit directly from the violation of Palestinian rights. 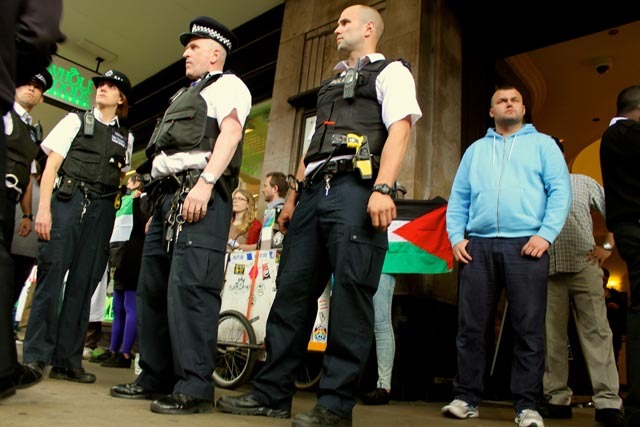 The call was launched in 2005 by a coalition of Palestinian groups that represent three major components of the Palestinian people: the refugees in exile, Palestinians under occupation in the West Bank and the Gaza Strip, and the discriminated-against Palestinian citizens of the Israeli state. All Israeli settlements and outposts in the West Bank are considered illegal under international law. SodaStream markets itself as being an environmentally-friendly product, yet fails to disclose that its product is being manufactured on the industrial zone of Mishor Edomin, which is an illegal Israeli settlement in the West Bank. The settlement company obscures its illegal origin by labelling its boxes as ‘Made in Israel’ as opposed to ‘Made in Israeli settlements’. 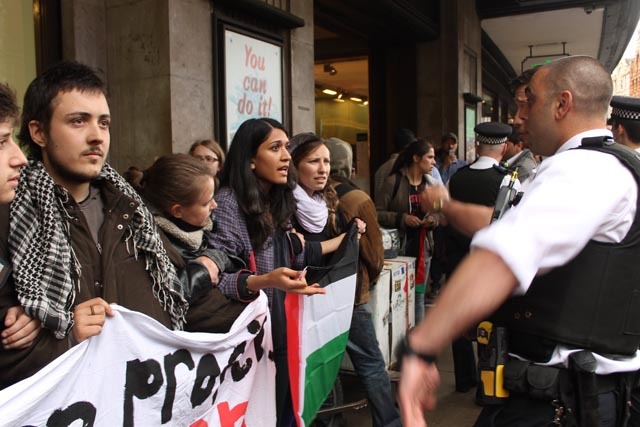 BDS activism has seen a steady rise over the past few years, and actions such as those on Saturday indicate a growing awareness of the role ‘ethical’ companies can play in legitimising and giving a veneer of respectability to products and practices – such as Israel’s illegal settlement policies – that are based on exploitation, colonisation and racism. Areeb Ullah is a freelance journalist and photographer studying BA International Politics at King's College London. He blogs at occupationinpictures.tumblr.com and tweets @are_eb.